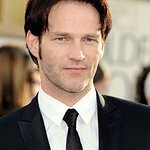 Stephen Moyer and Anna Paquin, stars of HBO’s hit series True Blood, have teamed up with their fan sites to raise money for a UK charity. 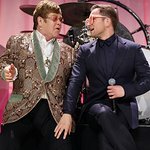 AllStephenMoyer.com and TrueBlood-Online.com are auctioning off an original HBO True Blood calendar signed by both Stephen Moyer and Anna Paquin.100% of the proceeds are going to Facing The Atlantic, a daring project to raise funds for Facing The World, in which actor Bertie Portal (“The King’s Speech”) and personal trainer James Cash will participate in the Atlantic Woodvale Race and row nonstop from the Canary Islands to Barbados. The goal of this amazing adventure is to raise £300,000 (approx. $482,000) for the humanitarian organization Facing The World. Stephen and Anna turned this True Blood calendar in a unique collector’s item by signing the cover of the calendar and 4 photos on the inside. That is a total of EIGHT AUTOGRAPHS on ONE ITEM. The auction ends on Saturday, April 30th, and can be accessed here.